Doggie Treats at Smooches for Pooches. 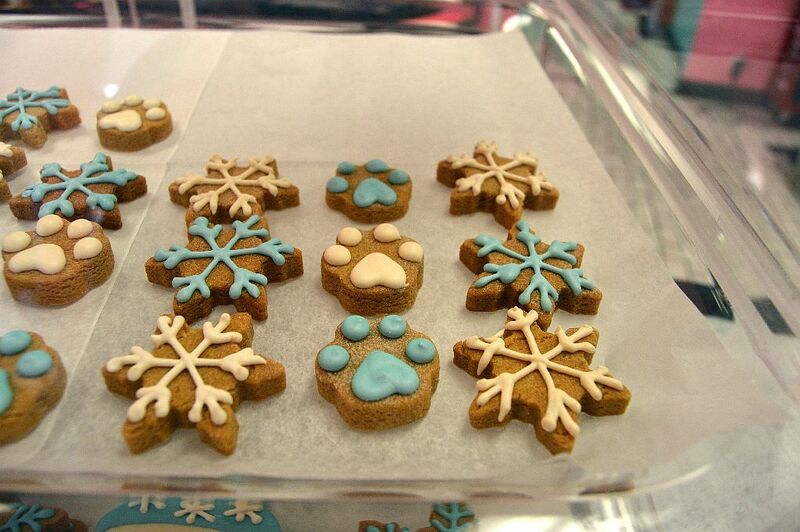 We came across these very impressive holiday Doggie Treats at Smooches for Pooches, 8570 Main Street. Why should humans get all the fancy decorated cookies? These treats are made with natural ingredients and do not contain salt, sugar or preservatives. Dogs will definitely be wagging their tails if they receive these treats this holiday season.